Solgen Commercial handles the whole process from DNO liaison, planning assistance and system design, through to installation and commissioning. 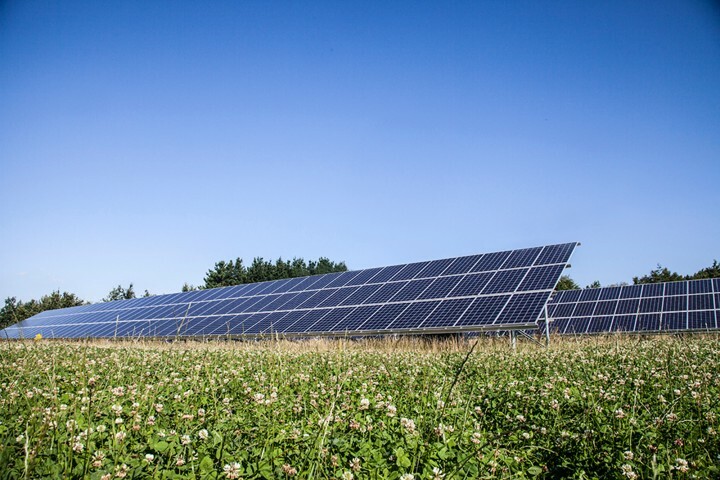 Ground mounted solar farms are an excellent way for landowners to generate income from lower grade land which would not deliver a high yield of crops. In most cases the electricity is totally exported to the grid with the landowner receiving an income relative to the size of the array. For businesses with available land it can be an excellent way to achieve an optimum performing system due to siting the equipment to the correct orientation and pitch and then using the energy on site if their roof space is unsuitable. In most cases small livestock can still be grazed under the arrays, while other sites are used to increase bio diversity, encouraging small insects and wild flowers to inhabit the area. We have large portfolio of of ground mounted solar PV arrays ranging from 50kWp up to our most recent 15MW across three sites for Parabel UK. Please view our case studies page to view a selection of completed projects. For more information on our services, please contact our team or simply call us on: 0845 00 30 742.